I didn’t want to mention the amazing weather we’ve been having over the last week as I’m sure you’ve all heard it a thousand times before… but seriously, the weather! 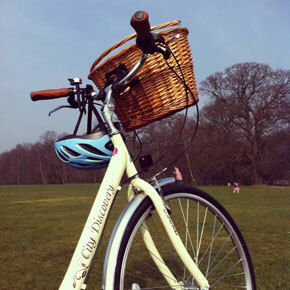 Temperatures in the 20s meant a trip to Roundhay Park on the bikes. Before getting Betsy I hadn’t ridden a bike in years so I was seriously impressed that I managed 8 miles in the blazing heat, with a stop off at the park, a bowl of curly fries and a large Coke in between. For the last few months, every trip to London has involved an attempt to visit Meat Liquor. Unfortunately the huge queues and weird opening times (closed on Monday? Why?!) mean I’ve always missed out, so when I heard a pop-up Meat Liquor was coming to Leeds, I was first in line. Well, not literally, but after a short wait Rob and I enjoyed burgers (I went for the Bubble Burger, him the Dead Hippie) and cocktails. Yum. Working in Duke Studios is truly inspiring. 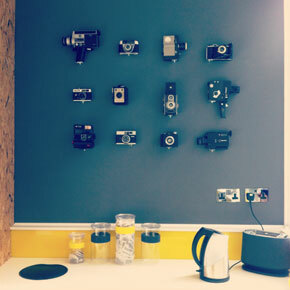 Last week I walked into a newly refurbished kitchen and gave a squeal when I saw the amazing vintage camera wall. 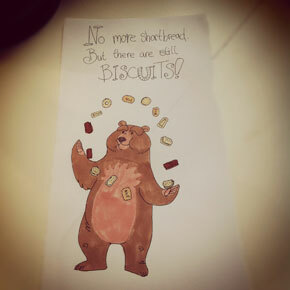 And then later in the week, my hunt for biscuits ended with this amazing illustration. 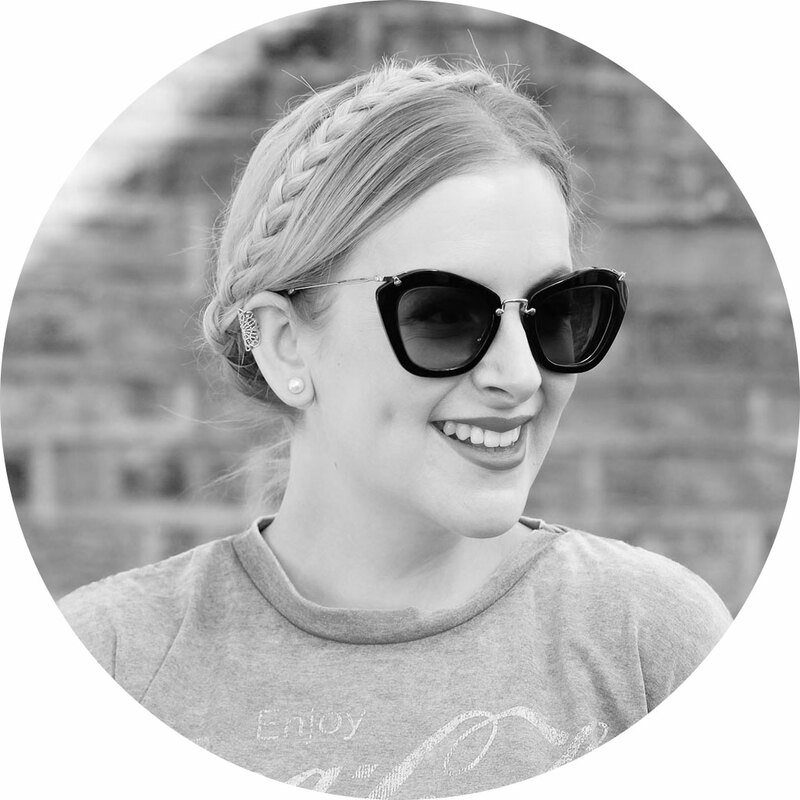 So many talented people in one very stylish place – amazing! I went a bit Cat-stagram mad on Friday night, but what can I say… when he’s this cute, it’s hard to resist! I snapped my two favourite guys having a cuddle on the sofa (and thanks to Emma’s suggestion, I am *so* sending this photo to Cute Boys With Cats) and then caught the fluffy one in an intellectual moment. I think he was inspired by the scientist guy on Independence Day, which we were watching at the time. I wore this simple outfit for a meal with my family to celebrate my sister’s birthday. The jumper is Uniqlo, striped tee is H&M, jeans and scarf are Zara, the bag is a Cambridge Satchel and the Converse (as featured in this outfit post) are c/o Sarenza. Last night Rob and I headed to Munro House, the building that houses Duke Studios. There was a pop-up restaurant on the top floor where we, along with the Duke residents and freelancers and their respective partners and friends, ate Moroccan food from a huge round table, drank far too much wine then went back to Duke for beers, dubstep and conversation. 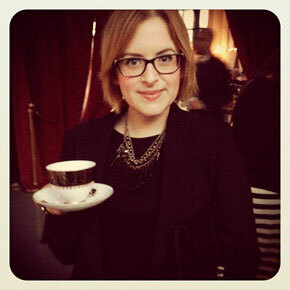 This pretty teacup contained a cocktail which tasted like pure alcohol – delicious! A Nando’s was seriously needed the next day and luckily, it was free! Yes, the two of us ate it all. Finally, this adorable iPhone case was sent to me by the lovely people at iconemesis and because they’re so generous, they’ve got one for you too! If you’d like to win a Fifi Lapin ‘Cupcake’ case of your very own, just leave a comment on this post including a way to contact you. 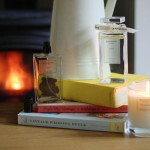 A winner will be chosen at random on Wednesday 4th April. You can also follow iconemesis on Facebook and Twitter to see the latest designs first. 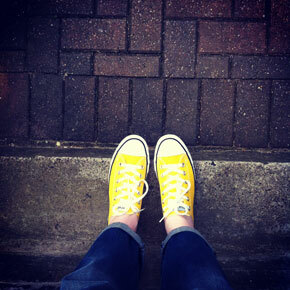 Jen, you are seriously making me want to buy myself a pair of converse! Travis is adorable too! Oooh, isn’t Travis growing! I’d love to hit up a Meat Liquor soon, you reminded me. Loving the colourful, casual outfit! Just my style. 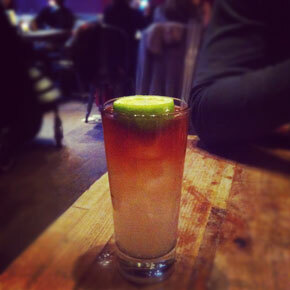 I’m determined to make it to Meat Liquor one day soon, the long queues have stopped me too! 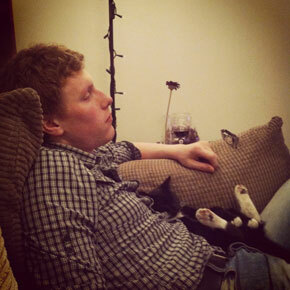 Cute Boys With Cats…my new favourite space on the internet?! 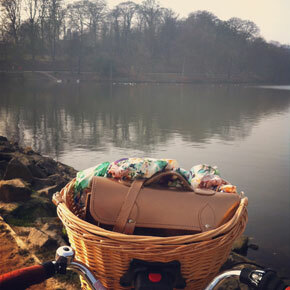 jealous you got to Roundhay whilst the amazing weather was around. i love the yellow satchel. Your kittie is the cutest! 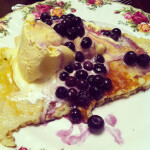 cherry@cherrypieblog.com – Have been looking for an iphone case all day! 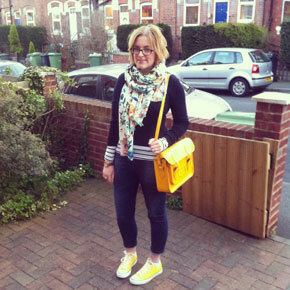 and the outfit with the yellow satchel is adorable! That burger seriously needs to get in my belly! I;d love the be entered for the phone case please! That case is also yum, would love it to replace my scratty old pink one! Your bike is v cute! Yey i really want that phone case! Love your bike a lot! Wow, a sneaky giveaway, I don’t really have an iPhone, so I guess if I win, I’ll just give it to someone as a gift. How have I not heard about Meat Liquor? It looks amazing! I love your sunshine shoes outfit! Your cat is such a cuttie!! Looks like a splendid week! I’m currently searching for a studio space to rent in Manchester. A lot of spaces seem to be for artists only, not general creatives/freelancers. 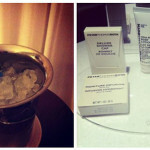 It looks like you’ve been having a lovely time, we’ve got to take advantage of this gorgeous weather! Love that iPhone case! I’d love to enter the give away! I’ve been eyeing up those phone cases for a while now, they’re so cute! What a gorgeous phone case! 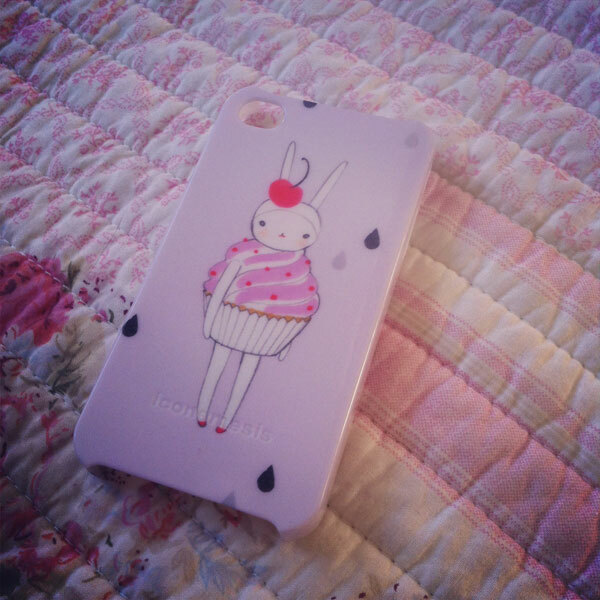 It would make my phone much better looking than it is now – it needs Fifi Lapin to inject some cake-based style into it. 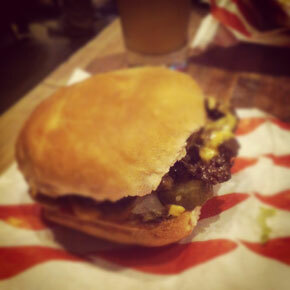 I wish Meat Liquor would do a pop-up in Newcastle..dying to try their food. Ahhhhh the photos of your cat are amazing! So cute. & love love love your bike! Been after one with a basket for ages. 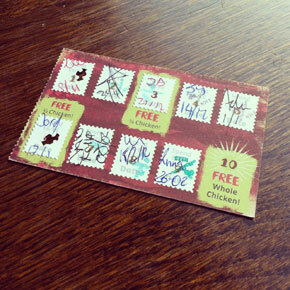 That is some epic nandos win! 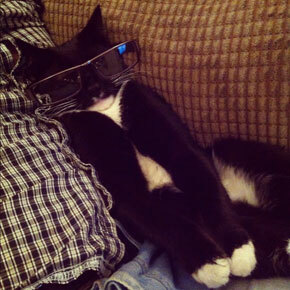 I love the kitty wearing specs, such a cutie. Thanks for filling my daily dosage of cute internet cats. You should check out catvshumans if you don’t already, kitties doing funny cute things in a comic strip. 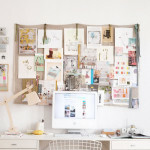 Thanks for sharing this on twitter, was looking for more affordable and cute fashion blogs. The iPhone case is so cute, I’d love the chance to win one! omg Jen, where did u get that yellow/mustard bag – I want one!! That iPhone case is so adorable. It’s simple yet so elegant looking. But I heard iphone rechargeable cases are much better. Have you already tried it?